Stunning 2-arm with 4-light chandelier with 6-inch clear globes. Fantastic! I bought this unique, but elegant chandelier for my 1929 craftsman bungalow home. It fits so well with the vintage-but-modern style I am going for. I am actually looking forward to the patina it will develop! 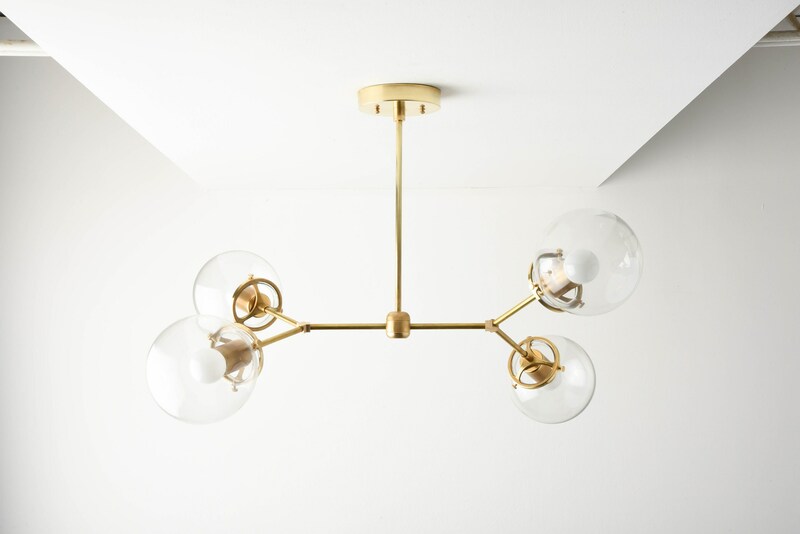 We could not be more pleased with the beautiful fixture that we purchased for our new “lounge.” It was well packed and arrived without incident, and was straightforward to install. My perfectionist husband appreciated the inclusion of the gloves to wear while handling the raw brass. The quality combined with the more than fair price made this a great buy for us. I’ve recommended this shop already to family and friends. Thank you! 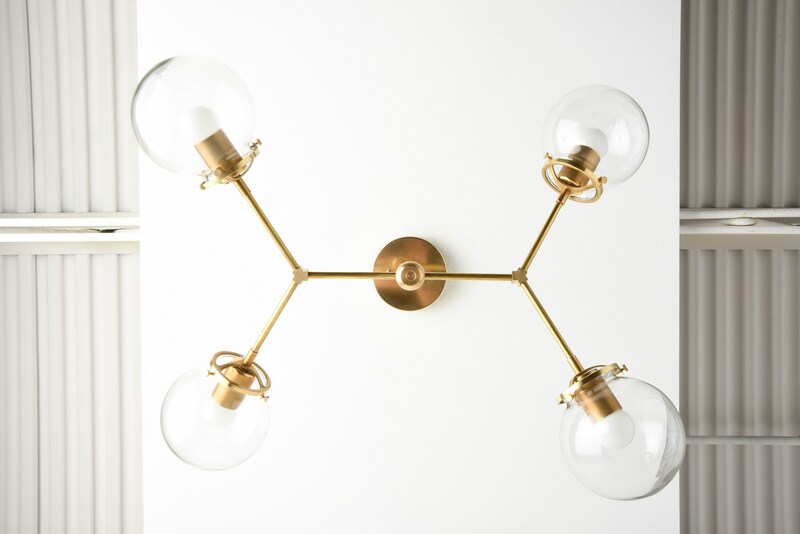 I could not be happier with our dining room light fixture! It is absolutely beautiful photographed but even more so in person. 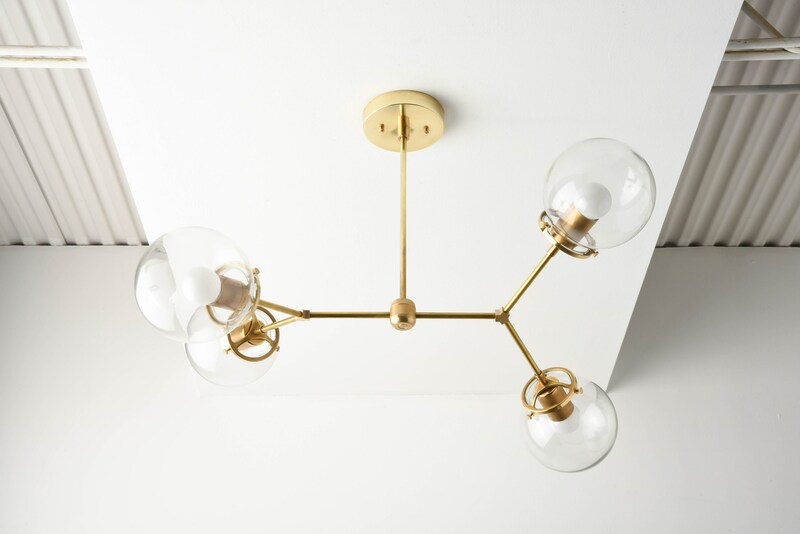 And I literally just ordered another raw brass fixture for our bedroom because I'm officially obsessed! Thank you again! 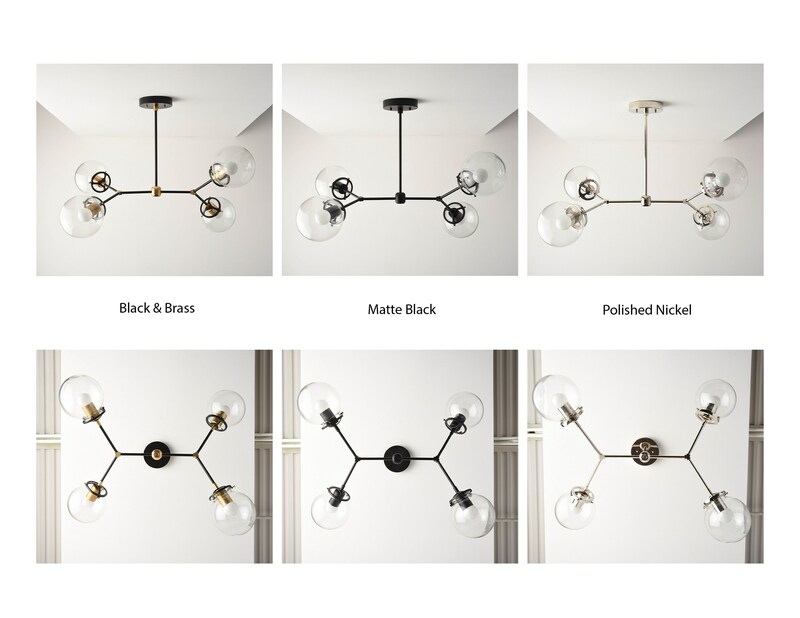 Absolutely in love with our new fixture! Very well made, delivered faster than expected and for a great price. It is truly beautiful! Not one person comes in without asking about it. Kyle was very friendly and also included a longer rod. I totally recommend IlluminateVintage!